Imagine wearing the same suit or outfit for a year to every meeting (or in a students case, a school day). You would never ever #1 want to, and #2 think you could get away with it. Well, recently the Mayor of Coquitlam, Richard Stewart wore the same blue suit to every meeting he attended for fifteen months and nobody noticed (see his post here). This experiment blew up and everyone was talking about now only his experiment but the message that comes along with it (which I will talk about later). When I first heard about this, I was very intrigued by the whole event and everything that I thought about afterwards. What inspired him to do this in the first place? What is everyone else’s opinion/reaction to this? Was he trying to send a message or prove something? What was it? Why and how did this become so popular so fast? What could his action lead to? He was inspired by an Australian anchorman who wore the same suit for a year (without getting noticed) since his female colleagues were constantly hounded with commentary about their appearances. Richard wore the suit to make a point about how women and men are treated differently by the workplace and general public. He told Global News: “I think the point I was trying to capture is that we do seem to treat women differently than men in lots of different occupations, particularly those in public life.” to explain the purpose of his experiment. There were mixed opinions when it came to his experiment. Some thought it was faulty, and would have been better if a female colleague had done the same thing. Saying this, many (especially women) were glad that Richard had conducted this experiment and agreed with his message. These conflicting opinions might have been how it spread so fast and became so popular. These “social experiments” can sometimes give us a wake up call, and that might of been what had happened with this one. Obviously this experiment has raised awareness for gender double-standards, even if you believe they are there or not. I have no idea to what this could lead to, but Richard, and many others around the world hope that it is one step closer to gender equality. The world has been facing gender double-standard issues for as long as it’s been documented. Even though this is a small experiment to document this large scale problem, it demonstrates how one persons actions can spark a conversation about important problems like these. There is no doubt that gender inequality is still a problem in most parts of the world (that in-class discussion proves that). For so many years, women have been treated differently, paid less and shown with less respect. Richards experiment attempted to highlight these facts and prove that the world still faces these issues today. There is a lot of evidence today about gender equality. 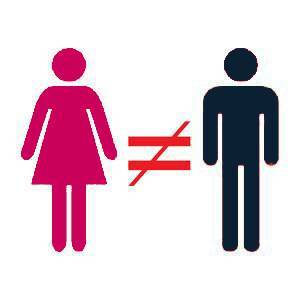 Click here to see what the UN has to say about gender inequality. The UNDP (united nation development programme) website is obviously a very reliable source as it is accurate, creditable, accurate, etc (all the CRAAP criteria). There are many more websites similar to this that I found including the Centre For Social Justice website. gender gap, the gap and gender inequality it is still there. Of course the experiment he did is also evidence of the gender inequality even in our community that still exists. Regarding Richards Experiment: As I stated before, Richard had many motives for wanting to take on this experiment. 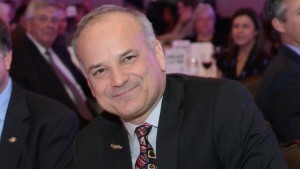 He states in his note on facebook ” Although only some 25% of MLAs are female, I’ll have to say that the vast majority (almost all) of the comments I’ve ever heard about MLA clothing has been about women, not men.” and then to say,”I actually think it’s a significant issue, as it demonstrates in some ways the fact that there are different standards for men vs. women, that there are hidden barriers to women entering some professions, including elected office. And if we truly want our democratic institutions to reflect society, we need to open our eyes to those differences.”. This statement allows us to see why he wanted to do the experiment in the first place. Of course he was also inspired by a newscasters similar experiment (which I talked about earlier). There could have been many more reasons for this experiment that he didn’t address in his note, but motivated him to do this experiment. There are a few different perspectives on this topic and on his experiment that I have found, even within the classroom. Some people believe that his experiment was great and helped raise awareness for gender double-standards. One woman commented on Richards post saying this: “Richard, I can’t say enough how true this is. Even in my profession, not in public office, I wear my hair to work in a bun two days in a row and get multiple comments along the lines of “Too lazy to do your hair today?” I couldn’t imagine the comments I would get if I wore the same outfit two days in a row!”. Not only does the woman give a perspective on the issue, but also shares a personal experience for evidence (relating to the evidence heading). Even though most are supportive of his experiment, some others believe that there are flaws with his experiment. A classmate wrote a very true statement on my forum post “in general, men’s attire is less diverse than women’s”. The small variety in men’s clothing could be the reason for why others didn’t notice the suit. After reading quite a few comments on news articles, I also saw many people asking for a woman to also do the experiment. This would then prove that yes, women are treated differently to men and have different expectations to that of men. As a female, I obviously have opinions towards gender inequality. As soon as I was aware that women are treated differently in the workplace and just in general, I have wanted equality. As I have read more and more about gender inequality and the stories that some women have shared, I think that my opinions have changed and evolved. At first I didn’t think it was really that bad since I live here, in Canada, where the level of gender inequality is much less than that in other countries. Many women from countries around the world such as Syria, Saudi Arabia, Egypt, and India (just to name a few) still suffer from gender inequality. I now realize that gender inequality is a larger problem than I originally thought in those countries. I am not an expert on gender inequality nor would I really call myself a feminist, but I understand what is happening in regards to gender inequality, and I know what I would like to be done to fix it. I think that many people’s main goal for the future is complete equality between the genders. Richard Stewart made his opinion and thoughts on gender equality very clear during this experiment. He started something that people can now talk about and freely share their opinions on gender inequality. Raising awareness and sharing this information has been a big step towards equality and perhaps towards a revolution? What do you think about his experiment or any of the issues I’ve brought up? I would love to hear your opinions in the comments or on the forum. Thanks for reading!